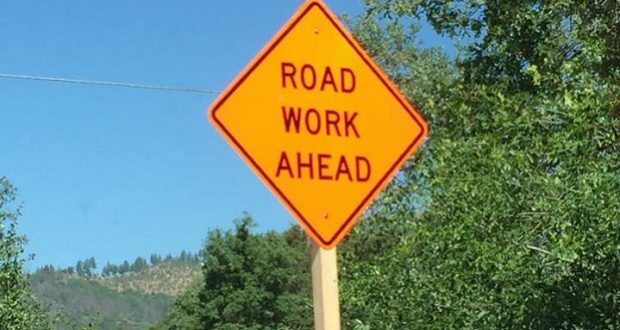 MARIPOSA COUNTY – The California Department of Transportation (Caltrans) is continuing work on an emergency project that is rehabilitating and repairing eastbound and westbound State Route 140 from Briceburg to Yosemite National Park. Motorists should expect delays of up to 20 minutes when traveling east into Yosemite. The work is needed after the Ferguson Fire burned through the region in summer 2018. The project includes the replacement and repair of culverts (underground drainage systems), removal of potentially hazardous trees and branches, and implementing slope stabilization measures. The Ferguson Fire started July 13, 2018, in Mariposa County and burned more than 96,900 acres, causing power outages, road damage and road closures. Burnt vegetation and trees exposed slopes to potential erosion, mud flows and rock falls. As of Thursday, Jan. 24, crews had replaced at least four culverts, installed erosion control devices, and completed three miles of tree work and slope scaling. Slope scaling refers to measures taken on roadslide slopes which help mitigate future mudslides and debris flow. To this point, this project has incurred a total estimated cost of $1.5 million. Work began in November 2018 and will occur during day and night hours into April 2019. One-way traffic control will be used, and motorists should expect 10- to 20-minute delays. Full closures may be needed for short durations to protect public and worker safety. 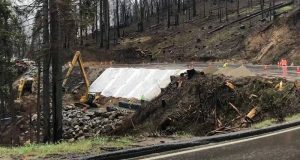 Caltrans closed SR-140 pre-emptively in the area of the Ferguson Fire scar in November 2018 and again in January 2019 to prevent motorists from being on the road when potential mudslides or debris movements were likely to occur. This work is is subject to change due to traffic incidents, weather, availability of equipment and/ or materials and construction related issues.